The flag proportion is 1:2 and the devices on the flag are a stylised fern [A] and the Southern Cross constellation [B]. The fern device is white, has 33 pinnae (leaflets), and sits within an area measuring eleven-hundred-and-eighty-five by nine hundred eighteen-hundredths of the hoist of the flag. The background on the top side of the fern device is black. The background on the bottom side of the fern device is blue. The Southern Cross device sits within an area measuring five-hundred-and-thirty-three by six-hundred-and-ninety-one eighteen-hundredths of the fly of the flag. Each of the 4 red stars in the Southern Cross device has 5 points and a white border. Black (Pantone BLACK) in the area marked “4”. The blue specified is a bright blue, not a light blue! 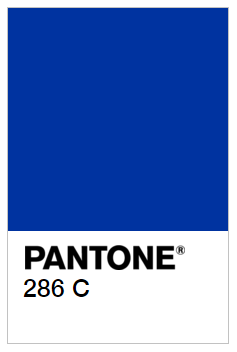 Pantone 286 C - A bright blue, was chosen at the design stage to offer sufficient contrast between the black colour, so that the two colours don't merge from a distance. Pantone 280 C, - a darker navy blue, which appears on our defaced British Ensign flag, was, early in the design stage, considered too dark, the colour can appear almost black on some fabrics. Generally when making computer fabric-printed flags (as opposed to traditional screen printed flags), please be aware that the blue dye appears lighter than that produced on traditional screen printed flags with 100% bleed-through dye. Consider purchasing or referrring to your existing pantone chart or swatch from pantone.com to allow for accurate colour comparison. ​Printing a sample of the blue colour from your machine and viewing it alongside your Pantone colour swatch under different light conditions (sunlight, artificial light, etc) and check they match before going into full production. If the colours appear wishy-washy (ie the black appears too grey and the stars appear too pink) consider printing double sides (with the design in reverse) to allow for a proper bleed through of the dye. Consider using fabrics which readily absorb fabric dye. 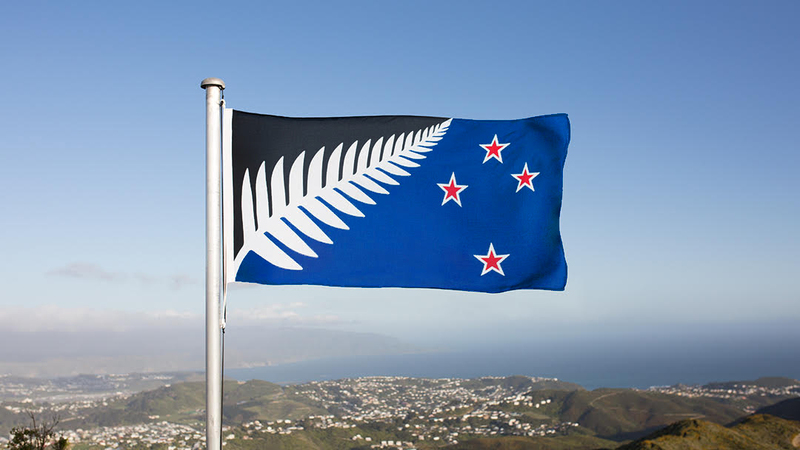 The information provided below is for the design which gained second place in the First New Zealand Flag Referendum of 2015. we have provided the information below for research and archival purposes only.